Does a mk2 head exist with reverb? I'm splitting my mk2A combo into a (more portable) cab and head. My tech says I need a fair bit of height in the cab to avoid proximity between reverb tank and chassis otherwise I risk noise induction to the reverb circuit. Has anyone got a mk2 head with reverb and is it noisy? 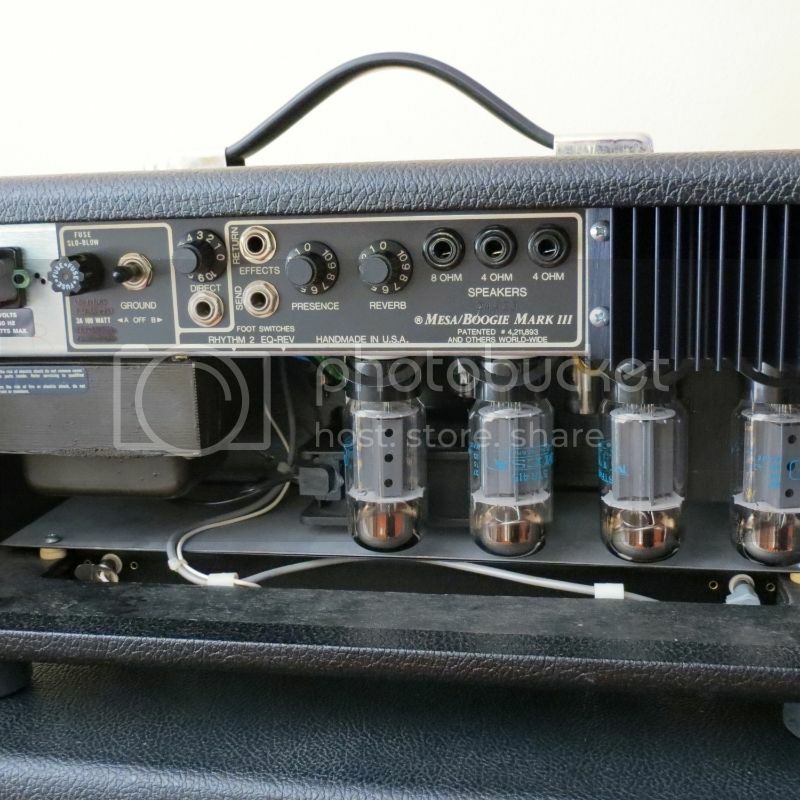 Re: Does a mk2 head exist with reverb? This has been discussed a bit here, and if you search the forum I'm sure you'll find a couple threads about it. For what it's worth, I have a Mark III Short Head with reverb, and while I don't use a huge amount of it, it's not noisy at all. Hope you can sort this out, I'd say go with the standard Mesa Headshell dimensions. You can do what I did ten years ago with my first III. I built myself a head but about one inch higher and could place then the entire business, the can in the sack and everything else inside. It's working fine but the housing from outside doesn't look good with that hight. So at the end I went back and put the chassis back in the Combo cab. S&W Classic DX, Cal. .44 Magn. This is a Mark III, but the dimensions are the same AFAIK. It's a tight fit, especially with the cooling fan, and the reverb tank is installed in the head open side up, with an aluminum shielding cover. I used taller rubber feet so the tank would clear the handle on the Thiele speaker cab. MrMarkIII wrote: This is a Mark III, but the dimensions are the same AFAIK. I'm baffling, where did you place the fan ??????? The fan is that black rectangular thing behind the power tubes, directly above the reverb tank. The black A/C cable to power the fan is coming out of the left side, and crosses in front of the grey and white reverb cables. Unseen and out of the frame (on the left) is an A/C outlet to the left of the transformer, on the bottom of the chassis, where the fan plugs in. I'm not 100% sure if your head has such an outlet, but I'd bet it does. There's also an outlet on the rear of the chassis. MrMarkIII wrote: The fan is that black rectangular thing behind the power tubes, directly above the reverb tank. The black A/C cable to power the fan is coming out of the left side, and crosses in front of the grey and white reverb cables. Unseen and out of the frame (on the left) is an A/C outlet to the left of the transformer, on the bottom of the chassis, where the fan plugs in. I'm not 100% sure if your head has such an outlet, but I'd bet it does. There's also an outlet on the rear of the chassis. I'm baffling now even more..........AMAZING ! I can see it now. But doesn't affect the engine and the powersupply the electronic parts and the circuits on the chassis ???????? It took some time 'till I noticed that the setting of the power chord of the fan had an influence on the audio signal. Hummig as a result. So I had to move the power cable a few times till I had found the right plance without causing humming. Placed now all at the left side on the inner wood downwards. And yes, the jack for the power connector is between the left wooden plank and the big transformer rearside. Everything you see is how it came from the factory. I have heard of problems with hum due to cable placement, but have not experienced any myself. Good luck! megavoice wrote: I'm baffling, where did you place the fan ??????? 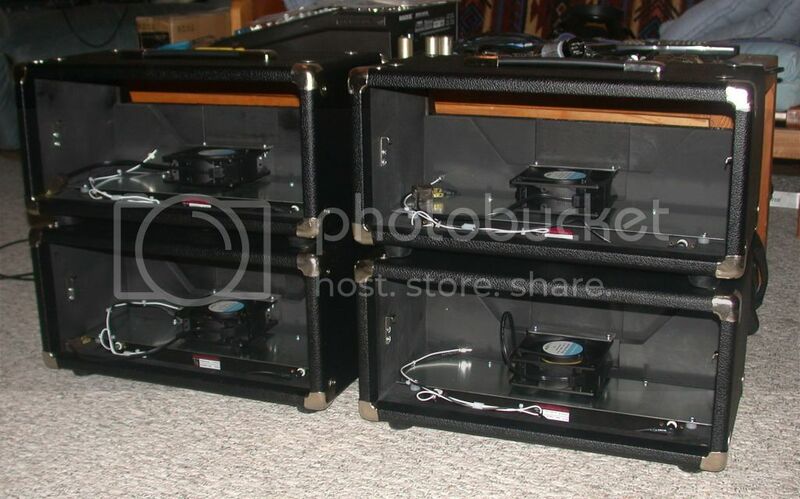 Here's pic of some I made before the chassis went in. It's easy to see the fan placement etc. Greetings, where can I get a new set of cables like that for my MKIIC ? That thin one, input, is that just any type of wire connected to a rca plug? Thanks. You can order up a cable set from Mesa. Or make them yourself if you're handy with a soldering iron. Be sure to specify that the cables are to replace those in a Mark series head with a full sized reverb tank. Thanks for the reply. I re soldered my shielded cable to see what happens. I'm having an issue with my reverb with my MIIC+ . It's sounds harsh, thin and raspy. I'm trying to troubleshoot it. I went and got a new tank, installed it last night. Didn't test it yet. And even when my verb pot is on zero, I can still hear a little reverb. Or I think, sometimes ears mess with you. If tank doesn't help, what should be my next step? New pot? What are symptoms of a bad reverb transformer? The verb circuit isn't that big based on schematics. Any guidance will be appreciated. Thanks, Jim. My 1978 HRG was in head configuration. Ordered that way from the factory. Reverb was rich and full sounding. The cooling fan was accessed by removing the front trim panel. It fit into a slot routed in the backing panel. Be aware, if you plug the reverb cables into the wrong jacks, you may still get a little bit of reverb. But it won't be a good sounding reverb. It'll be weak and tinny. Doing that for a while could damage the tank or the driver tube or possibly the reverb transformer. There's not really much to the reverb system. Not a lot to go bad. Tubes, tank, or transformer, really.